Performers include: Eugene Lipinski, Shawn Ashmore, Brooke Nevin, Boris Cabrera, Nadia-Leigh Nascimento, Christopher Ralph, Richard Sali, Paulo Costanzo, Joshua Peace, Frank Pellegrino, and Diego Matamoros. Five children are given the power to morph into any living creature in order to battle a parasitic race of aliens called the Yeerks. An Andalite named Elfangor-Sirinial-Shamtul (Diego Matamoros) bestows the powers on brave Jake Berenson (Shawn Ashmore), reckless Rachel (Brooke Nevin), farmgirl Cassie (Nadia-Leigh Nascimento), self-assured Marco (Boris Cabrera), and socially-awkward Tobias (Christopher Ralph). The children can stay in a morphed shape for no more than two hours or they will be trapped in that shape, as Tobias learns. The kids are joined in the fight by a young Andalite named Aximili-Esgarrouth-Isthill (Paulo Costanzo), the brother of Elfangor. Tobias follows the trail of hawk images being left around town and is shocked by what he finds. Meanwhile, Marco notices a suspicious looking construction worker hanging around school. He investigates and discovers that his friends and the rest of their classmates will be in grave danger at the dance. Before he can tell anyone, Marco finds himself trapped. First aired: April 23, 2000. What do you think? Do you like the Animorphs TV series? Would you have liked to have seen a third season? You can buy digital copies on Amazon and iTunes now. The first 12 episodes were also released on VHS is north america. The first 20 were released on dvd in australia. 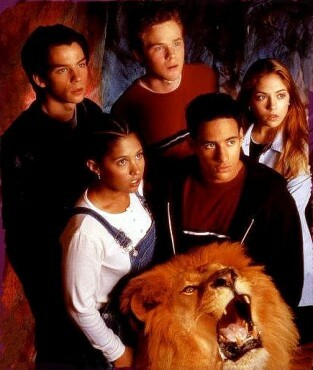 I was young when this show came out, and I even read the books. I watched all the episodes from both seasons now that Im older and I am disappointed it didnt continue. I want to see what happens with Tobias knowing Elfangor is his father. That would mean he is part Andalite and Ax is his uncle which is really funny. I want more. I would have liked to see Animorphs for a 3rd season I would like to see Tobias be able to morph and be human like normal rather a few hours of humanity only to be turned back . and not mention the Urks still around.